Yup, that's a tomato in Everett's hand. Why? Oh you know, no reason. As we were leaving the house he asked for one, and he just carried it around all day. The weather is getting gloomier and gloomier. So before we're completely stuck indoors, we decided to take a ride on a train that flies. We knew the Roosevelt Island Tram would be a big hit with Everett and he was not disappointed. 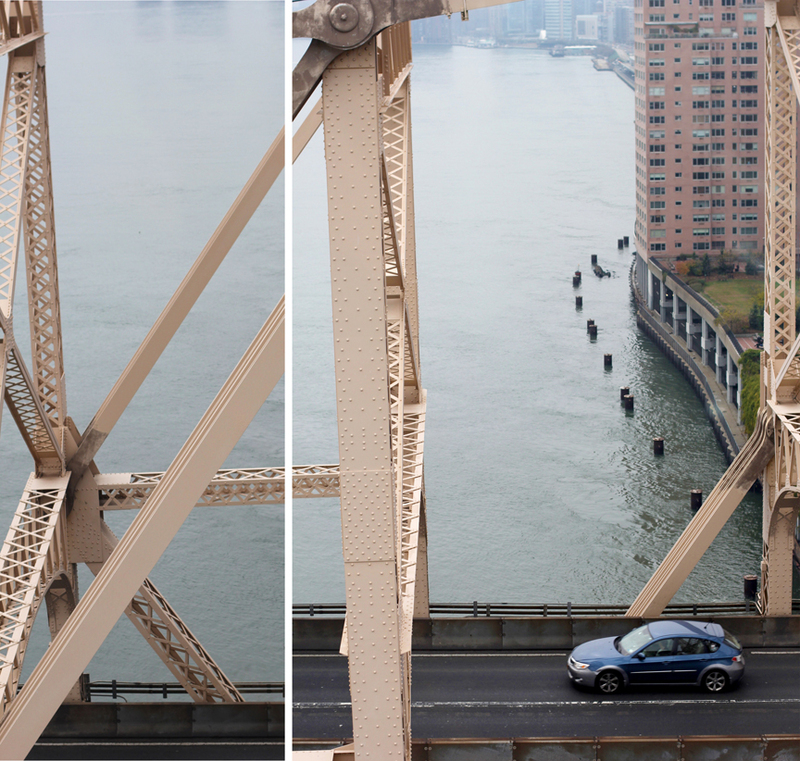 It's a short ride, but the tram provides unique views of the city as you cross over the East River. And at a slightly dizzying height.